The series is starting to grow on me. It has an extremely loose storyline – just the main characters’ daily lives – but it’s starting to pick up as the characters begin to develop. I wouldn’t say that Ayuko or Saki are particularly developed or memorable just yet, but the sibling relationship between Kanaka and Souta has sparked my interest. It provides at least some form of entertainment. I feel like I might develop a slight attachment to the other characters in time. 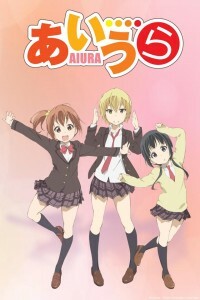 I still wouldn’t call Aiura a breakthrough series by any means, as it’s just a series of animated shorts that one would watch merely out of routine. There’s a sort of comfort in a series like this, an opportunity to grow with the characters, though there are many others like it and I find most of those slightly dull.